As we wind down the last weeks of 2018, my team and I are reflecting on a year that has been difficult, yet so rewarding. Our CCBRT Maternal Health Capacity Building team feels we sometimes learn more than we teach. While working together with our partners and healthcare providers, we find new solutions to old challenges. Recently, we conducted a refresher on-the-job training for healthcare workers that focused on postpartum hemorrhage (PPH). PPH is the leading cause of maternal mortality in Tanzania, accounting for more than 30% of all maternal deaths. The tragedy is that death due to PPH is preventable. The challenge is it requires an entire team to respond. Unfortunately, a full team of medical professionals is not always available. 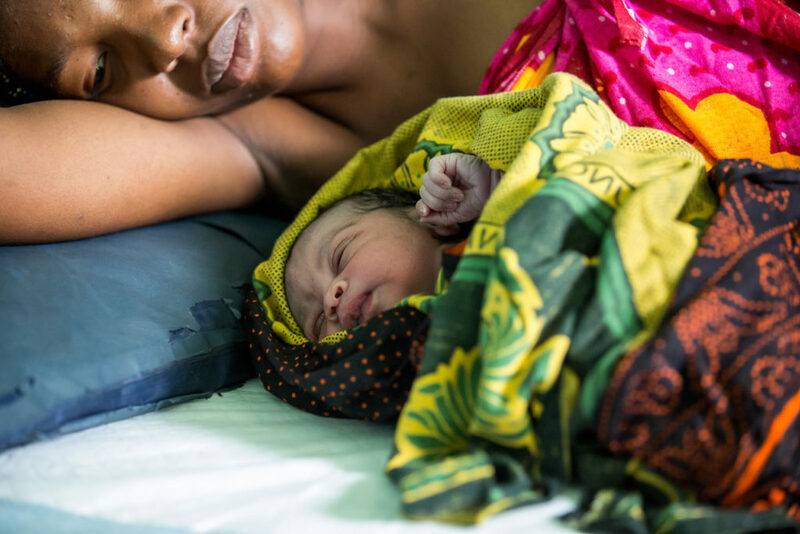 Staff shortages, gaps in training, and overwhelmed, overcrowded delivery wards in Tanzania are all factors that can contribute to a mother’s life being lost in just minutes. At one of the facilities where my team trains and mentors healthcare workers, the supervising medical officer identified that staffing was an issue and that sometimes emergency cases did not have the support they needed. She wisely requested that we train non-maternal healthcare staff in PPH management. So, we conducted the training, even training outpatient nurses and staff from wards serving men only. One week after the training, this medical officer called me with so much excitement. The night before, a patient had delivered her baby, and began to hemorrhage after delivery. The attending nurse shouted for help, but the doctor and only other nurse on duty in the ward were handling an emergency caesarean section in the operating theater. The nurse’s cries reached the neighboring wards, and ‘help’ came running from the outpatient and men’s wards. Thanks to the training they had received the week before, everyone knew exactly what to do. The team saved the mother’s life. My team and I are always grateful for these moments. Equipment and innovation in low-resource settings are critical for progress, but at the heart of our success lies one indispensable resource: people. It is the people we train, their collaboration, their courage in the face of emergencies, and their dedication to their patients that will change the face of maternal healthcare in Tanzania. And it is your support that empowers us to keep going. Tomorrow is Giving Tuesday in the United States. Here in Tanzania, we are also answering the call to give. I invite you to join us. Your gift of $100 provides training for two healthcare workers to save lives at birth, to prevent birth injuries like obstetric fistula, and to identify congenital disabilities like clubfoot for immediate referral and treatment. Just as one nurse cannot do the work of a full team, our success requires us all to work together for the mothers we are serving. Thank you for supporting my team, and for helping us save the lives of women and newborns in Tanzania.